In energy management, accurate forecasts are essential in almost all the processes. 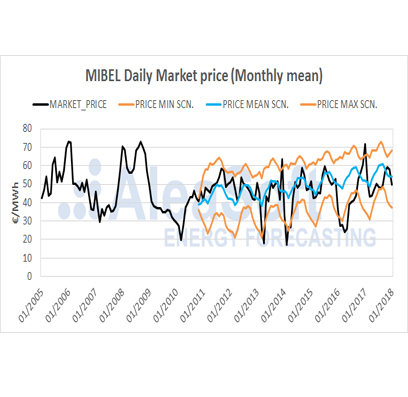 AleaSoft is the European leading provider of forecasting services in the energy sector. For 19 years, they have provided forecasts to the main companies of the energy sector. 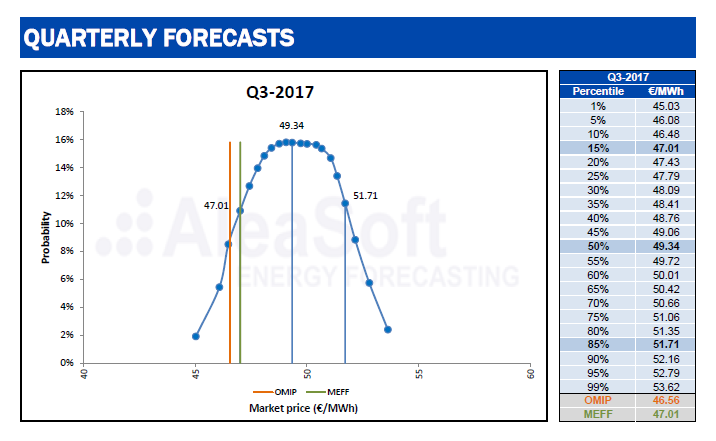 At present, 85% of the energy traded in the short and mid-term wholesale electricity markets in Spain use price forecasts from AleaSoft as a reference. The range of services covers electricity and gas consumption forecasts, at national, regional o client portfolio level; renewable technologies production: hydroelectric, solar and wind; and electricity market prices for the main European markets, from hours ahead to tens of years in the future. In general, AleaSoft services are aimed at all kind of companies in the energy sector, because all of them need consumption and market prices forecasts. Among their clients, one can find Transmission System Operators (TSOs), generation companies, energy traders, retailers, Distribution System Operators (DSOs), large consumers and wind and solar farms manufacturers and investors. To generate forecasts for the energy sector, they use a hybrid model that combines classical statistics techniques, Box-Jenkins SARIMA time series methods and Recurrent Neural Networks. Indeed, Neural Networks belong to the field of Artificial Intelligence. Also, this developed methodology, AleaModel, uses Genetic Algorithms to find the best models. Lately, Artificial Intelligence has become fashionable as something new. 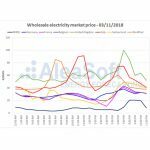 AleaSoft has been using Artificial Intelligence forecasting models in large companies of the electricity sector for 19 years. At present, there are more than 400 Artificial-Intelligence-based models working in production environments throughout Europe. During these 19 years, many of AleaSoft’s resources were put into research and innovation to stay up to date and constantly improve the quality of the forecasts. In recent months, with the emergence of PPAs, the demand for long term forecasts has increased. A PPA is a Power Purchase Agreement at the long term that makes it possible to finance the construction of a renewable energy plant, whether wind or solar power, and the purchase of the electricity during the term of the contract. In a PPA, the price forecast is a key element for all the parties: investors, manufacturers, installation partners, managers, producers and consumers. For this purpose, AleaSoft supplies market price forecasts at the long term for all the European markets. 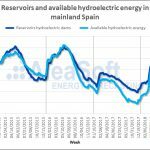 The most important points among the future plans of AleaSoft are the consolidation of their leading position in the energy forecasting sector in Spain, to keep advancing the market penetration in the European countries, and to expand worldwide. In short, make AleaSoft a global reference. Forecasted probability distribution for the third quarter of 2017 Spanish price, obtained in January 2017. Spanish price forecast at the long term, generated in November 2010.